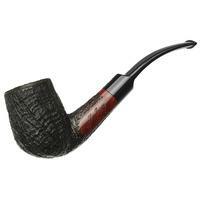 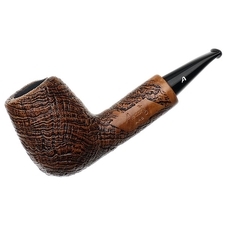 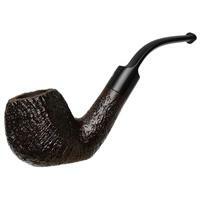 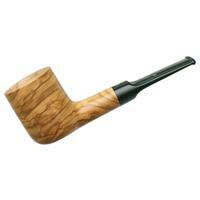 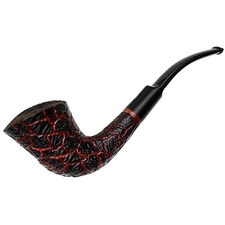 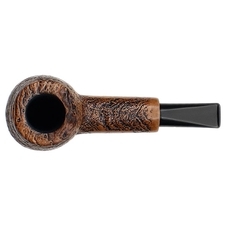 One big, bold Billiard shape, this piece from Ascorti features a broad, low-set waistline, giving the bowl an almost Brandy-like look in profile. 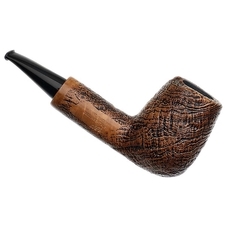 Matching that extra visual weight, the transition and shank are also quite muscular — contrasted by the visual step of sorts from the faced off shank end and the smoother, tapered bit. 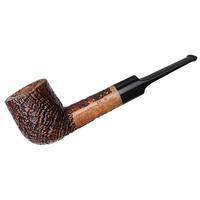 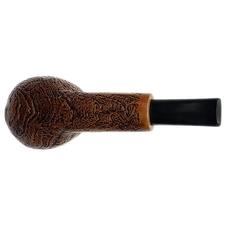 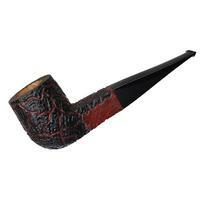 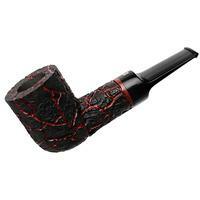 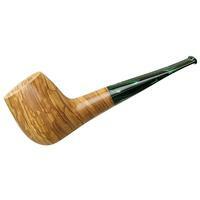 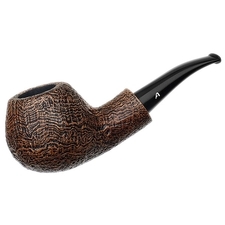 It's finished here in a craggy, rugged sandblast, unveiling the strawberry wood's seriously impressive ring grain climbing the bowl, terminating in a more organic style of rim — kissed with plateau along the rear face.